Cabin Property or 2nd Home Caretaking & Maintenance: seasonal cabin maintenance, driveway maintenance, checkups, etc. We have designed unique landscape features for our customers upon their request. We have produced raised flower garden beds and vegetable garden beds. We have also created food plots for deer with a large selection of seeds to choose from. 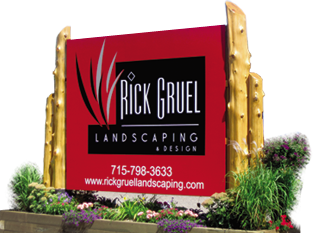 At Rick Gruel Landscaping & Design LLC., we are open to projects and ideas that may not be listed on our website. Please call us 715-798-3633 for a FREE consultation and ideas or if you have any questions about a project that you think will fit your residence or business.